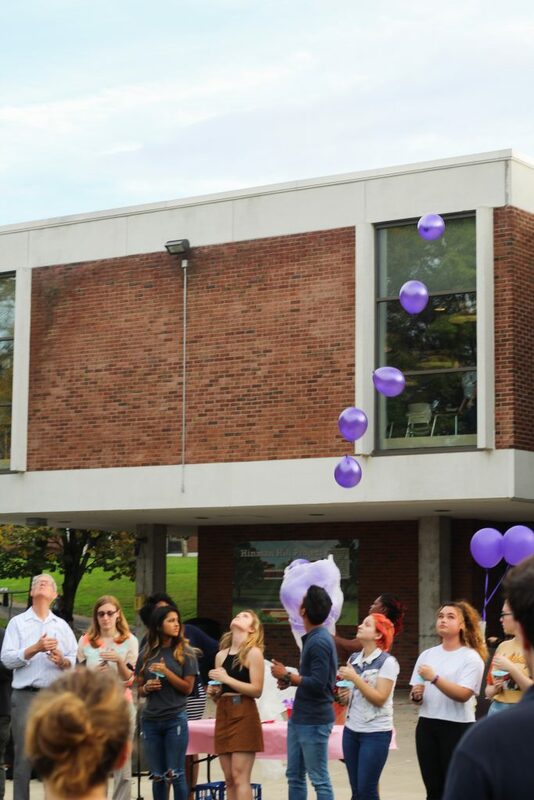 Mike Yang/Contributing Photographer Friends, relatives and professors remember Sophie de Tournemire, a rising sophomore who took her own life this July, in a candle-lighting ceremony on the Hinman College Quad. 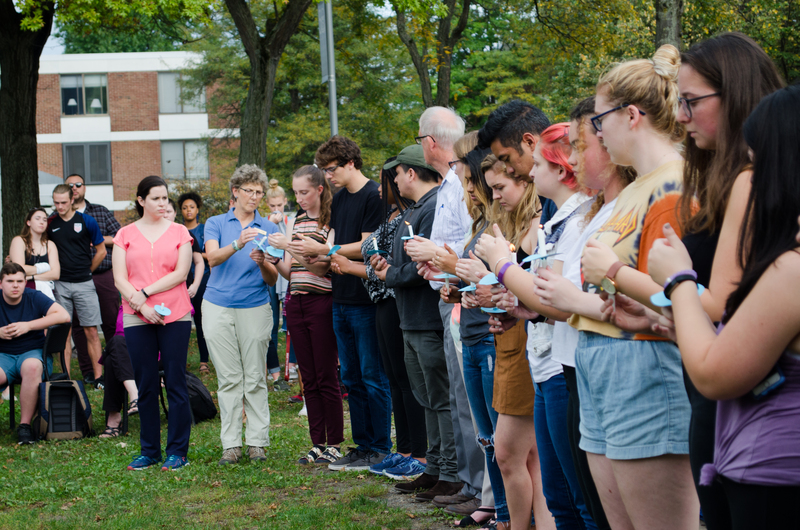 Friends, relatives and professors gathered in the Hinman College Quad to pay their respects to Sophie de Tournemire, a rising sophomore who took her own life in July. The service was held on Tuesday, Oct. 9 and moderated by Julia Amodeo, a sophomore double-majoring in environmental studies and Spanish. Amodeo said she became close with de Tournemire her freshman year and approached the Dean of Students Office to create the service following her death. She spoke about her relationship with de Tournemire at the event alongside several other friends and relatives. Al Vos, collegiate professor of Hinman College, had de Tournemire as a student in his human development course. At the memorial, he read the first thing she wrote in his class and described her as being devoted to community service. According to Vos, de Tournemire had a heart like few others and was a vivid poet. De Tournemire was also a member of the Slam Poetry Club. Aspen Rust, the president of the Slam Poetry Club and a junior majoring in psychology, did not know her personally but said the entire group felt the loss. She shared a poem the club wrote about moving forward in the face of tragedy. Hannah Gulko, a junior majoring in human development, was a friend of de Tournemire’s from high school. Because de Tournemire’s spoken word poetry inspired Gulko to write as well, she recited a poem in her honor. After each speaker read, a moment of silence was held as 19 candles were handed to 19 attendees, each representing a year of de Tournemire’s life. The attendees with candles were lined up, and a candle at the end was lit. The flame was passed to each candle until all of them were burning. As 19 balloons were released — purple, because it was de Tournemire’s favorite color — the attendees were instructed to blow their candles out. Ethan Feuer, a junior majoring in English, was one of de Tournemire’s mentors in the Emerging Leaders program (ELP) and said he was coping with the loss by thinking positively. Calista Requijo, a sophomore majoring in English, was in the same ELP group as de Tournemire. De Tournemire’s parents will be hosting a run on campus in her honor next month. Editor’s note: Hannah Gulko is a contributing columnist for Pipe Dream’s Opinions Section.